I had the opportunity to try out Jeff's new Petzl Croll this weekend; the same individual Croll that fed miserably on fixed, swollen, muddy 11mm rope for him. The significant difference in our frog systems, however, is that I always use a Petzl Pantin when ascending. The relevant parts of my frog are all-Petzl: Superavanti harness, Torse chest harness, handled Ascension upper ascender, and old-style B02 Pantin foot ascender; the Ascension is attached to my tied lanyard with a 5mm screwlink via a fat half-double-fisherman (barrel) knot, and my frighteningly-tiny tied Amsteel Blue spectra cord single-foot footloop attaches to the Ascension's other hole using a small, wiregate Metolius FS Mini carabiner, with the gate facing out away from me to avoid having it contact my Croll. In other words, the attachments to the Ascension are optimized to avoid having a large carabiner interfere with the Croll so I can maximize efficiency of each frog stroke; I'm a very fast, very efficient frogger, and this is in part because I've spent considerable effort to tune my ascending system. As Jeff ascended the first, fixed rope this weekend, it was comical how poorly the Croll performed, and we had a thoroughly enjoyable time heckling him as he'd stand in his footloop while the Croll pulled the rope up with each step. This didn't just happen on the first few strokes, it appeared to poorly feed for most of the 30 foot pitch. When I reached the top, he had already swapped the new-style Croll out for his old Croll, so it didn't take much bribery for him to let me test the new Croll for the remainder of our trip. I ascended the next pitch, 30 feet in total, with the top 10 feet on a steeply-inclined slope, using his new Croll. Again, I always ascend using a Pantin foot ascender. I had absolutely no problems with the Croll failing to feed on any part of the pitch; not at the start, where there's no weight under the rope, nor on the slope at the top where I essentially walked up while "jugging" with the handled upper ascender as the rope fed itself through the Croll with each step. I then ascended the 240' free-hanging entrance pitch. I intentionally wore my pack on my back, and strapped a rope coil to it, so my climbing posture would be worst-case with my upper body leaning back. Again, zero problems with feeding at the start; zero problems during the free-hanging climbs, zero problems against the wall, and zero problems for short duration frog-walking toward the top. On both pitches, I noted significantly less interference of the new Croll with my upper ascender attachments or lanyard knot. Its body is smaller and shorter than the old Croll, and it was a noticeable improvement in this aspect, even though my frog is already tuned to minimize contact here anyway. Note that I did not adjust my footloop length when using the new Croll versus my old Croll. My only non-positive comment is that the new Croll is louder than the old Croll, and I don't know if this loud vibrating-metal camming sound will decrease as the teeth wear, or if it's a result of the new camming angle and spring tension; this sound could be indicative of increased internal friction in the ascender. There were no surprises with placing or removing the new Croll from the rope, despite the fact that the angle and size of the cam's thumb release lever must have changed. My muscle memory worked here with no problems, though this was only a sample size of 2 roped pitches. Given this small testing, I find no decrease in performance of the new Croll versus the old for use with a Pantin foot ascender, but I also note no strong increases in performance either. My personal mode of failure for Crolls has always been wearing of the cam's teeth, never the body's aluminum shell, which now features a steel wear-protection plate on the new model. The new cam is made of stainless steel, whereas the older model's was not stainless, so perhaps this will further extend its life for my use. I certainly won't be upgrading while my old Croll still has life in it, as the positives for this new model aren't that significant in my eyes. If I didn't use a foot ascender, however, I must admit that I'd be a bit worried about the new design. 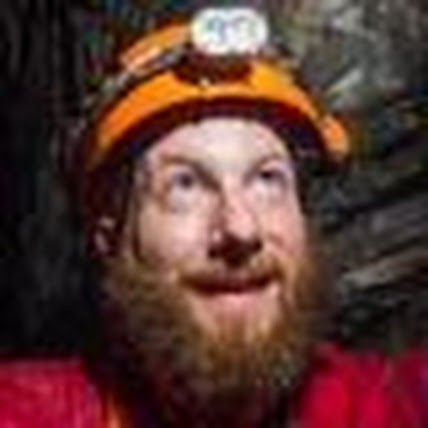 For what it's worth, I also tested his new Basic on a single 70' pitch in a different cave, but I normally use a handled upper ascender, so my comments here aren't relevant -- I have no experience frogging with the old Basic. It did make more cam noise than my Ascension, similar to what I noted above about the new Croll, but I can't comment on how its ergonomics differ from the old design other than to say that so long as I gripped the body with my right hand, it was comfortable and "just worked". Gripping with he the left hand, or mis-placing the right hand puts pressure on the cam's thumb release, but I assume the same of the old Basic. In summary: the new Croll frogs just as well as, if not slightly better than, the old Croll when used with a Pantin foot ascender. IMO, a piece of gear (new Croll) that requires you to buy and add another piece of gear (Pantin), is flawed. I also think this of bobbins and braking biners. Since your system sounds well thought out, streamlined and simplified, why do you use a screwlink on your upper ascender lanyard? Why not tie it directly to the ascender? Scott McCrea wrote: Since your system sounds well thought out, streamlined and simplified, why do you use a screwlink on your upper ascender lanyard? Why not tie it directly to the ascender? My 9.2mm dynamic rope cowstail would probably fit through the 10mm hole at the bottom of an Ascension, but I was afraid it'd wear the cowstail more than a rounded screwlink. Something just seems wrong with threading rope through a piece of sheet metal, whether it's an ascender or a hanger. Plus, I like that I can remove my ascender from the cinched-down barrel knot if I need to (for cleaning, replacement, etc.). I do prefer, however, that my upper ascender be hard-attached to a lanyard rather than clipped with a 'biner to a cowstail doing double-duty, so that I never run the risk of dropping a critical component of my rig underground. I would be perfectly OK with the ascender being tied directly without the intermediate screwlink, so long as wear wasn't an issue... now I'm going to have to try it to find out! While I'll say that my system is well thought-out and tuned for my climbing style and typical caving, I'd hesitate to call it simplified. I've got a tied cowstail pair, both with locking 'biners, a handled ascender on a dedicated lanyard, and a foot ascender; so it's certainly not a "minimal" frog, but I can justify the use of every component. I tie my lanyards directly to my ascenders without using the hole. I tie a double-constrictor knot thru the bottom of the handle. One with 5mm tech cord and one with 8mm dynamic Prusik cord. They last a year or two, with careful inspection. Scott McCrea wrote: IMO, a piece of gear (new Croll) that requires you to buy and add another piece of gear (Pantin), is flawed. I also think this of bobbins and braking biners. What - you don't already have a Pantin? (I do, but I've never really loved using it.) Fair call though - if I get a new replacement Croll, I would want it to work at least as efficiently as the old one, with or without Pantin. Funny, I never thought of a braking biner as something to "buy and add" to a bobbin/stop. It's just there because that's how it works properly. Like a hanger on a bolt. I climbed several hundred feet of rope this weekend with the new Basic and Croll. Most of this was short pitches with a few awkward lips and squeezes to negotiate. Almost all the climbing was on 10 mm rope (PMI EZ-Bend) and the ascenders worked flawlessly. The Croll fed very smoothly even right from the ground with no Pantin. Scott McCrea wrote: I tie my lanyards directly to my ascenders without using the hole....... They last a year or two, with careful inspection. Yeah, they last a lot longer when tied onto a screwlink. I would be especially careful with the tech cord tied through the ascender. I do that for my canyoneering rig and have to monitor carefully for wear. I also coat the knots in SeamGrip for an extra abrasion protection layer. I got to use someone else's new Basic (and Croll) the other day on an expedition. I never liked the old Basic and have been using handled ascenders. But the new one fits really ergonomically into my hands in just the same fashion that I usually hold my handled ascender -- one hand on the ascender and the other hand sort of on top of the first one. The only thing that bothered me is that the cam of the Basic seems to be relatively hard to open, especially one-handed. Any comments on that? Is that just me? Or maybe you get used to it after a little bit? I just used two of the new crolls as chest and upper ascender for my SRT system on a week-long caving expedition last week. I estimate that I climbed at least 3,000 feet of rope on the new ascenders. I thought they were great. I did not notice any feeding issues even without a pantin, but I confess that I used the pantin the majority of the time. Love the new crolls! I had my first opportunity to try the new PANTIN yesterday. It was used on 9mm Beal 'euro style' rope, and 10mm PMI 'US style' rope. 1st impression is that is truly an improvement. It seems like it is much less prone to kicking out, and the new buckles are solid. Obviously it's also lighter. My girlfriend tried it also - first time she had used one, and liked it immediately. No kick out issue either. I miss the carabiner hole of the original. While I never used it as a cam lock, it was nice to know that I had a spare ascender available if times got tough. I have seen a few online comments implieing that the under arch strap should be protected like the old style one. I seem to remember reading that the old one was covered with a tubular Dyneema abrasion guard, and that the new strap is simply made of Dyneema. I suspect the new buckle design was partly to allow the use of the slippery Dyneema. We will see how well it holds up. To those who feel that an ascender that only works well with another piece of gear (CROLL + PANTIN) is some how deficient, I think we need to remember that these items are designed as part of a system, and that many frog climbers would consider the PANTIN a normal part of that system. Just like bobbin descenders and their associated brake carabiners. I mean, we don't expect people to hold onto their racks with a finger through the eye do we? snoboy wrote: I had my first opportunity to try the new PANTIN yesterday. It was used on 9mm Beal 'euro style' rope, and 10mm PMI 'US style' rope. I have seen a few online comments implieing that the under arch strap should be protected like the old style one. I seem to remember reading that the old one was covered with a tubular Dyneema abrasion guard, and that the new strap is simply made of Dyneema. I suspect the new buckle design was partly to allow the use of the slippery Dyneema. We will see how well it holds up. I've had to replace the strap (not cheap!) on my old-style Pantin twice in past few years. It seems to break where the under-foot section loops through the body behind the cam. I think the cam might be rubbing on it and causing wear. It will be interesting if the new style Pantin fares any better.